I mean that the avi files produced by HDLink are squished, when played in Windows media player. 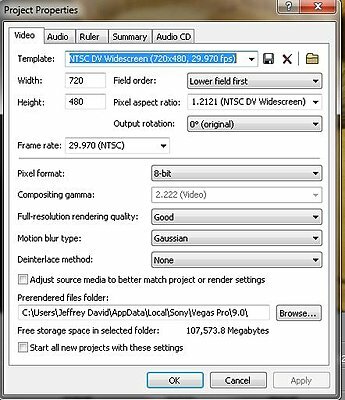 Some players like VLC allow you to set the aspect ration for playing a file. I just look on these files as intermediate work files and don't bother with playing them. No settings I have changed will produced the correct dimensions for playback in windows media player, which is how I'm testing the files. Since Windows 7 will play most any avi files including AVCHD files correctly, I'm assuming my settings are wrong, or there's a bug. I've not had issues with avis before....hmmmm weird. I render out to avi for transcoding to flv for my website, and preview with WMP to double check before putting in flash...so I need to fix this. In addition, the avi being produced are noisy as well...I'll play with it more later, I have lots of urgent projects that need my attention. Thanks for your attention, Jim. There isn't a 'hook' to define the PAR (pixel aspect ration) with the intermediate files. As intermediate files, they really aren't intended as 'player' files. If you set the aspect ration to 1.2121 in the file properties in Vegas under Project Media, you won't have any problem. I would recommend using the free GSpot v2.70a utility to examine the format of your final rendered files, as GSpot provides a fair bit of information about the formatting of a video file. As for the unsatisfactory results you are seeing, can you publish a step-by-step list of exactly what you are doing to convert your HD files down to SD format, this way we can spot where you might be messing up. Thanks for the suggestion Jim, but still no joy. As I expected, the files are squished in Vegas. The default properties for all new projects as I have it set is as you suggested, so I don't need to change project settings....I always edit in 16:9 with 1.2121, since up to now I've always shot in SD widescreen. Darn it. I had NeoScene installed (the trial) and uninstalled it, maybe something is screwed up. I've checked and unchecked a few things, no change...I'll check in at the cineform forum to see if this is me or the software later....I've tried it with about 6 combinations of settings changes just for kicks, not working out so far. You only did part of what I suggested. ALSO go the "Project Media" and select properties on each file and set the aspect ration to 1.2121. These intermediate file don't contain the PAR (pixel aspect ration). They are intermediate editing files, not viewing files. Well, Jim, you've been most patient, and it is fine now, thank you. I might have seen project and properties in the same sentence and figured I already knew what you meant; I didn't of course. Wow, looks pretty darn good! Jim who's the man? You are! I've read through this and I don't think it answers my problem. I have just shot my first footage with a GH2 but when I put the clips into my CS5 timeline there is pronounced moire patterning. Here is a clip that illustrates what I mean, it can be seen in the railings. It was shot at 1080i 50fps at high quality. 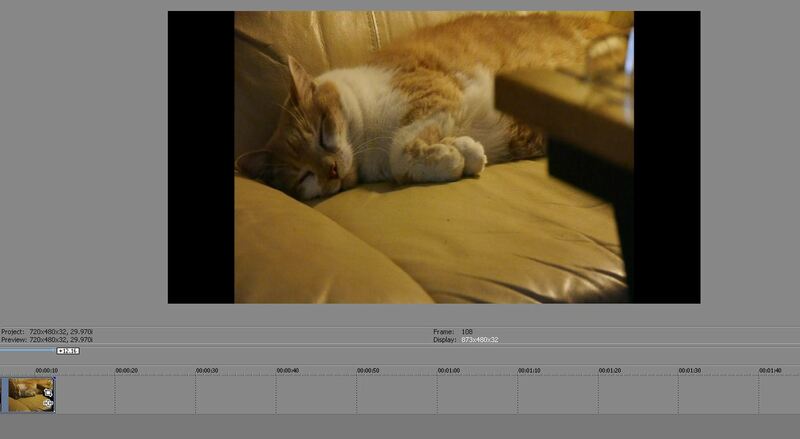 It shows when played in the Premiere monitor when native AVCHD and also when de-interlaced. It is also there when I put it on DVD either interlaced or de-interlaced. What I really want to know is if this is a characteristic of this camera. I have shot this same format: AVCDH 1080i 50fps on a sony CX550 and have never seen such patterning. I hope someone is able to answer this otherwise the camera is going back. I've spent sometime researching this camera and I've never heard it mentioned; until I saw this thread. George, I am the original poster of this thread. It has been told to me, and confirmed, that the problems with my video were in the conversion. If you read the beginning I didn't have problems with the original footage. My problems occurred after processing. The problem was the result of my not knowing how to convert and resize HD footage to SD. If your "moire" is present in original footage, you would have to adjust your shooting, settings, or try a different camera. I wish I could suggest what you could do to eliminate your problem, but I don't know. Off the top of my head, moire when shooting something like the fence you were shooting wouldn't be surprising. Try your Sony on that exact same scene, if you haven't already, from the same distance. I have limited experience with the GH2, and have shot nothing like you did, but I love the camera. Consider looking at the lens you're using as well. The 14-42 is a relatively poor performer, as all the kit lenses are. I have the 14-140, and it would certainly win no contests. Thanks Jeff. I have read through the thread but noticed that most of the solutions were to addressed to the problem occurring during down-sizing whereas you notice that I see this in the original clip, even when deinterlaced. I was using the 14-140 kit lens. I'm now in a dilemma, I can return it tomorrow for a refund but I do like the camera. My main shooter is a JVC-HM700 which shoots 50fps 1080i and I support that with a tiny Sony CX550 shooting AVCHD 1080i 50fps. They work together well so I guess that the GH2 just isn't going to fit in with my style then. Most of my output is still to DVD so it will only exacerbate the problem. I don't want to shoot SD as I am archiving on Blu-ray. I'll just mention that I'm not just being picky about this. The same problem was obvious in shots with trees and other fine detail as soon as there was any movement in the frame , I used that clip as it showed it best (or worst).